Choose the OnePage theme if you want to create a one-page Drupal website. 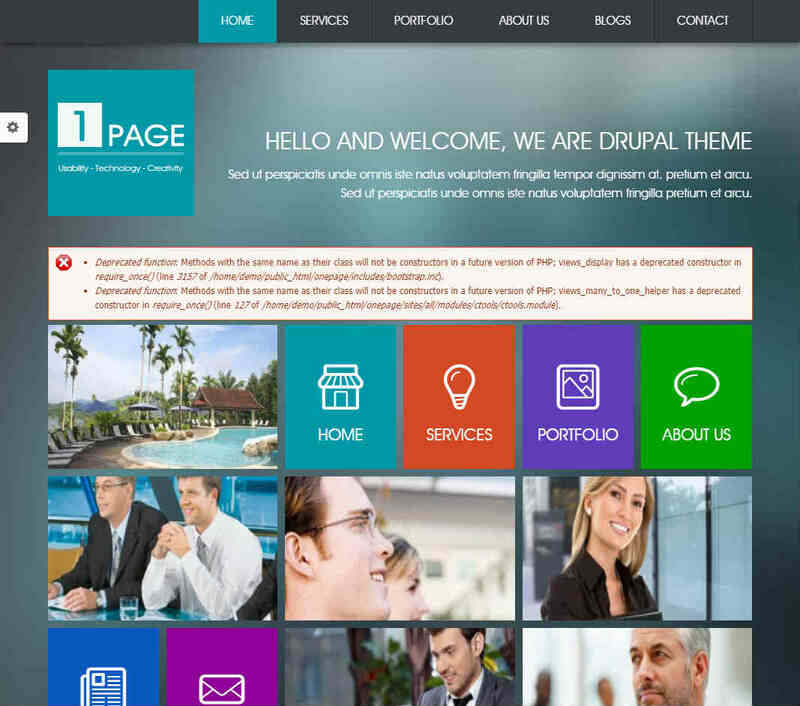 The professional design of the theme will make it an excellent choice for corporate, business, or company sites. You will find separate sections for displaying your services, portfolio, company information, contact information, blog posts, and so on. Choose any of the six in-built color schemes to apply an instant color change throughout the website. OnePage is fully compatible with RTL languages, allowing you to use this theme to create websites in other languages as well. Check out the detailed documentation to know more about the various theme features.